CKD Galbraith, Scotland’s leading rural property specialists, today announced a major expansion of its operations through a merger with Hayes Macfarlane. 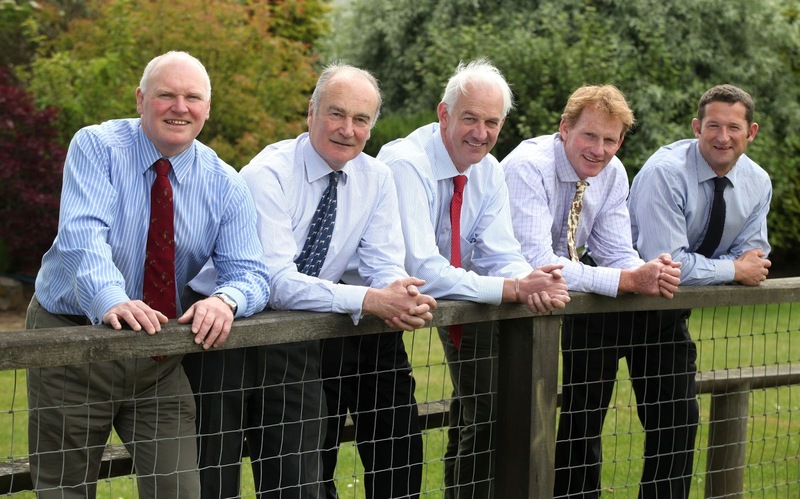 An established farm and estates management business, Hayes Macfarlane, located in Aberdeenshire and Perthshire, since its formation in 1971, offers a comprehensive consultancy and land agency service. The merger, which will take effect as of 1 July this year, will see Hayes Macfarlane become part of the CKD Galbraith operation, taking its network of regional offices throughout Scotland to 14, and will now include Aberdeen and Alyth. All staff at Hayes Macfarlane will be retained by CKD Galbraith and will continue to serve the needs of existing clients as a fully integrated part of the enlarged firm which after the merger will have a total of 250 members of staff. James Galbraith, Chairman of CKD Galbraith, said: “We are delighted to be expanding and enhancing our services to the rural sector. Merging with such an established and successful name as Hayes Macfarlane is testament to our commitment to the Scottish agricultural and rural sector in the Aberdeenshire and Perthshire markets. Tom Stewart, from Hayes Macfarlane, said: “Over the years our business has grown steadily and has earned a good reputation amongst farmers and other rural businesses. It was time to take things to another level and teaming up with CKD Galbraith, a highly respected and progressive firm, is just the right fit. “As far as clients are concerned there will be a seamless transition and we look forward to providing the ever growing number of services people require to sustain their own business. CKD Galbraith acquired chartered surveying firm Macdonald Fraser, the land agency division of United Auctions, which significantly enhanced the firm’s rural services in 2007. The firm further strengthened its presence in the agricultural property sectors in 2011 when it established its national farms sales centre located at the Stirling Agricultural Centre. The partnership provides the full range of property consulting services across the residential, commercial, rural and renewable energy sectors throughout Scotland. CKD Galbraith also enjoys a successful relationship with its associate firm in London, CKD Kennedy Macpherson. Hayes Macfarlane provides a comprehensive consultancy and land agency service to farmers, estate owners, public bodies and other private clients. CKD Galbraith's Ayr Office is a Founder Member of the Elite Ayrshire Business Circle.